At Station Square Dental, we don’t just aim to help our patients achieve healthier smiles. We also believe that everyone should feel confident when they laugh, smile, and go about their everyday life. This is why we also offer high-quality cosmetic dental services, to help you feel and look your best. 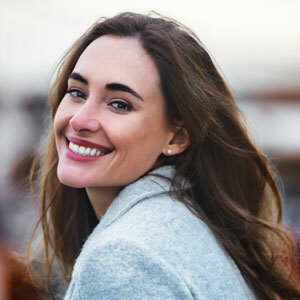 Whether you dream of a brighter and whiter smile, or teeth which are straight and seamless, we’ve got a wide range of treatments and procedures to give you the beautiful smile you’ve always deserved. Teeth Whitening: We offer safe, effective treatment for discoloured teeth with the Pola Whitening System, either in a single dental visit or in the comfort of your own home. Dental Crowns: A dental crown is used when a tooth is damaged beyond repair and a large amount of the tooth structure has been lost. Our modern crowns are strong and match the colour of your remaining teeth perfectly. Dental Bridges: We provide four types of bridges to successfully replace a missing tooth (or teeth). These include traditional fixed dental bridges, cantilever bridges, resin-bonded bridges, and implant-supported bridges. Porcelain Veneers: Veneers are thin, shell-like layers of porcelain that are bonded to the surface of the tooth. They cover up discoloured, damaged and worn-down enamel and are made to match the rest of your teeth perfectly for a great smile. CEREC is a revolutionary system that allows us to design, fabricate and fit a new crown, veneer, onlay or inlay on-site in a single visit, a procedure that would normally take at least two weeks. Want to find out more information regarding a specific cosmetic dental service at Station Square Dental? Please call our friendly team today!